This week I have a finish!! 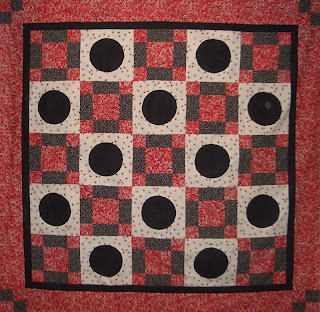 "What Goes Around" was started in a workshop at Quilt in a Day in San Marcos. It was a fun workshop and I actually enjoyed making the circle blocks. I had a couple of extra four patches, so used them in the corner. 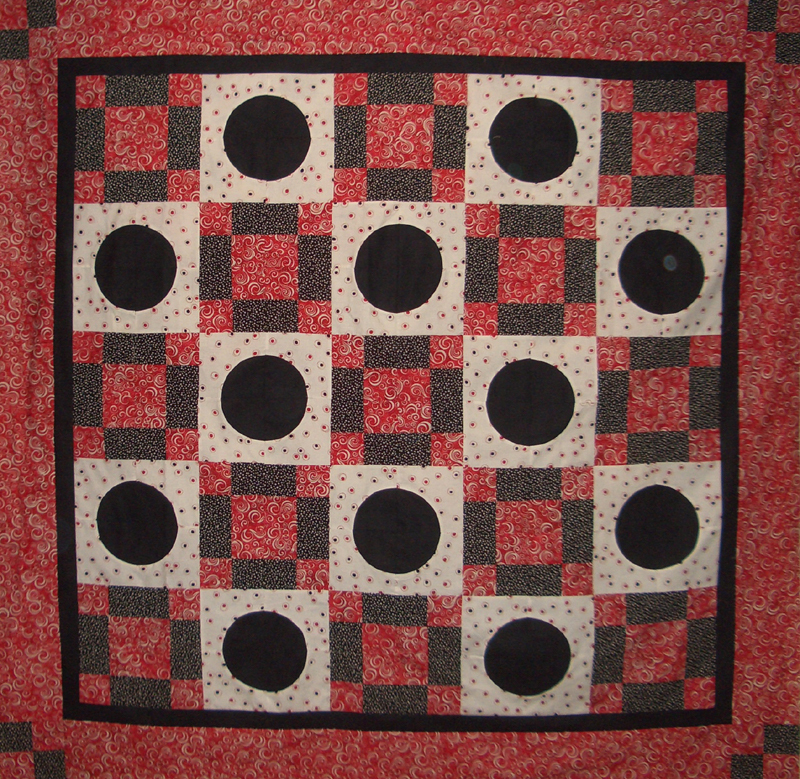 The back will be scrappy 10" squares. Into the quilting que it goes! Net fabric used in 2011:117.0 yards. See how everyone else did this week at Patchwork Times. Congrats on a good-looking finish!